"I would like to begin by thanking our County Councillor Judith Twigg, our District Councillors Alyson Hill, Philippa Tilbrook and Helen Froggatt as well as Peak Park member Kath Potter for their work on behalf of Bakewell. Notices of Persons Nominated for the Town and District Council elections to be held on 2nd May 2019 have been received and are available in the documments below. To make a nomination for the Certificate of Merit email townclerk@bakewelltowncouncil.gov.uk with details of who you think should receive an award for "going the extra mile" and why you think they should be recognised. 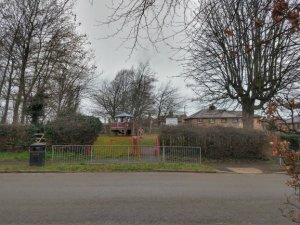 Following a review of operations Bakewell Town Council is to close its Yeld Road Play Area. The decision has been taken due to the increasing maintenance and renewal costs, inappropriate usage, and previous damage to the site. 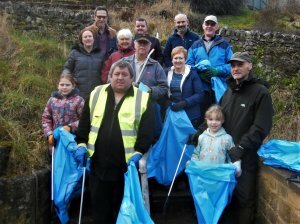 The Mayor of Bakewell, Bill Storey, organised a morning of litter picking in a wood owned and managed by Bakewell Town Council on Saturday 2nd March. Election Day for District and Parish Councils is Thursday 2nd May 2019 with all seats up for election. Nomination packs can be downloaded from the District Council's website at www.derbyshiredales.gov.uk/elections2019 alternatively call the Elections Helpline on 01629 761300.